The Observer / Burgess prize is back, and is open to anyone internationally who has an interest in reviewing the arts. 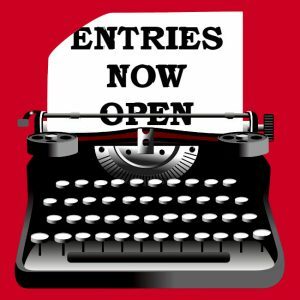 We set up this prize in partnership with The Observer newspaper to provide writers with a chance to take the next step in their career, and to champion the very best new critical writing. Anthony Burgess was much more than a novelist, and his own career in journalism began while at Manchester University. He wrote for the university magazine and, after being conscripted into the army, penned poetry and film reviews for army newspapers. He went on to write regularly for numerous publications, including Country Life, the Yorkshire Post, the Spectator, the New York Times, the Guardian and the Observer. His journalistic life was not without colour: he wrote a harsh review of his own work under the pseudonym of Joseph Kell for the Yorkshire Post, for which he was fired. And his many pieces for the Times Literary Supplement were sometimes peppered with legally questionable claims. The Observer / Anthony Burgess Prize for Arts Journalism welcomes lively entries that make us think – positively or otherwise – about a recent work in the arts. (Enter now.) The subject matter is up to you, as long as it was something that was staged, screened, presented or printed within a year of our 30 November 2018 deadline. Maybe it hasn’t even happened yet – still more than two months to enter. Recent winners have written on photography, opera and Justin Bieber. Need some inspiration? Here’s Anthony Burgess writing about the one movie that changed his life – and no, it’s not the one you think. There will be three prize winners: £3,000 for first place, and £500 each for two runners-up. You also get your work published in The Observer. Enter the Observer / Burgess prize now.